Endurance 5w/30 synthetic engine oil is a superb example of modern chemistry based on synthetic base oils and synergistic additives to produce exceptional multi grade engine oil. Very high standard of engine cleanliness to improve long term efficiency. Superb resistance to breakdown, even under long periods of high revs and high stress. Higher molecular weight stronger oil film provides added protection to all moving parts inside the engine. Better cooling properties at high temperature. Low friction formulation enhances engine efficiency and gives improved circulation particularly during the vulnerable cold start and engine warm up. Ordinary oils only work down whereas Endurance 5w/30 gives protection down to near arctic conditions. Protection vastly improved in the aggressive piston ring zone area, by resisting the extreme high temperatures, which degrade conventional motor oils. Car engines since the 1990's have been designed to run far hotter than their predecessors. Yet again even good mineral based engine oils are liable to break down when pushed to the limit for any length of time. Therefore Endurance 5w/30 has been developed as an entirely new type of engine lubricant that can withstand even the most demanding conditions. It is suitable for all cars petrol or diesel, including turbo charged high performance engines. Advanced technology of the 1990's has been used to produce a synthetic based oil that makes all other ordinary oils look, feel and perform old fashioned. 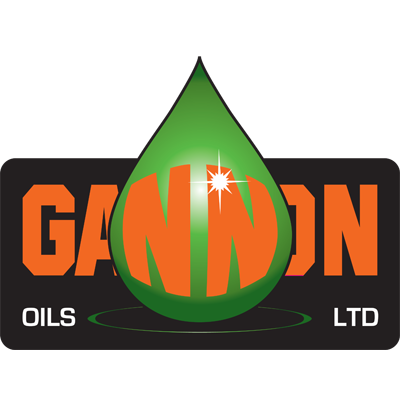 Since the first lubricating oils were used early this century they have been produced from mineral oil base stocks refined from crude oil. Now new technology has been used to create man made synthetics to significantly improve the mineral oil base stock. Because Endurance 5w/30 is synthetic based and is able to continue lubricating effectively over a wider temperature range than ordinary oils, -40ºC right up to +355ºC. Under normal driving conditions a cars pistons will reach a temperature of 250ºC. whereas in a turbo charged engine the drive shaft can reach 360ºC - a temperature at which many ordinary oils will break down. Also in extremely cold conditions Endurance 5w/30 functions superbly giving easier starting and running. Although your car may not be turbo charged. Endurance 5w/30 still gives your engine greater protection when driven under gruelling conditions. However hard you push, Endurance 5w/30's new formula will give greater protection and performance. Endurance 5w/30 has been rigorously tested to meet all European quality specifications. It can also be used for cars with 12000 mile service intervals, and since it can be mixed with ordinary oils, there is no reason to delay using it in your car, starting today. To maximise the benefits from this exceptional new engine oil it is better to have your sump drained and refilled.